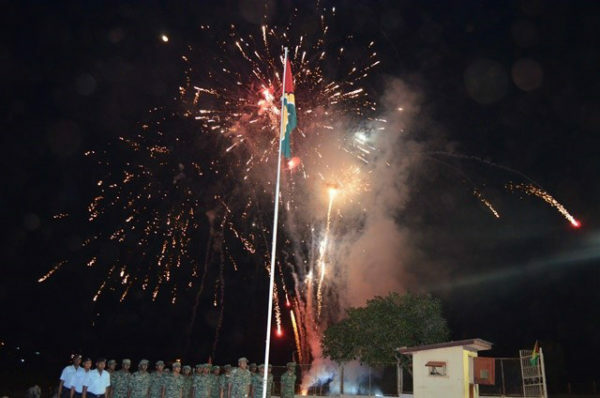 Screams and shouts of joy could be heard as the clock struck midnight at Lethem yesterday and the flag was hoisted. 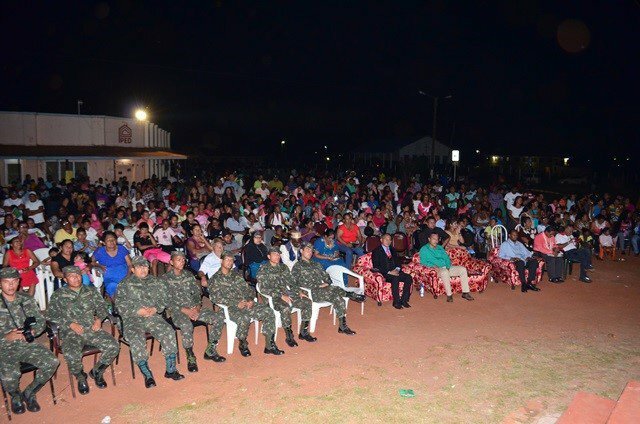 GINA said that soldiers of the Guyana Defence Force, neatly dressed in their uniforms, stood at attention as Lt. Rohan Marshal hoisted the flag. The National Pledge was recited and the National Anthem sung. Soldiers from neighbouring Brazil also joined in the celebration, GINA said. Ambassador, George Wilfred Talbot, Guyana’s Ambassador to Brazil was also a part of the celebrations. 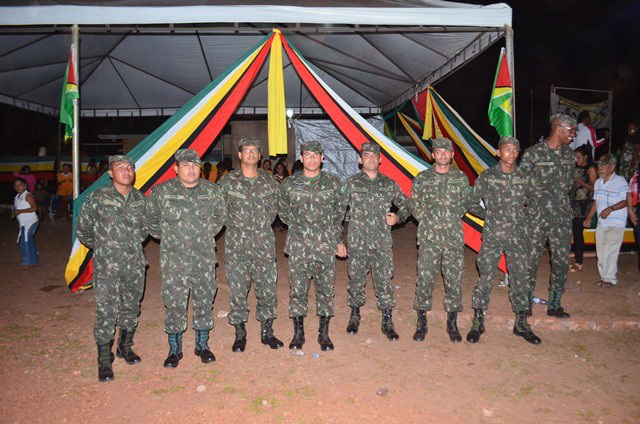 The flag raising ceremony began at 16:30 hours with a cultural programme. Allicock said that the government intends to provide a range of services to Region Nine. “We shall continue to improve the physical infrastructure of the Region. We shall improve the justice system here as well… The Ministry of Indigenous Peoples’ Affairs has already embarked upon the process of planning and costing with respect to a new dormitory specific to your needs…We have removed the political tentacles from the National Toshaos Council,” Allicock said.